This review is written having seen ep 1, this is going to be such a good title. Dark, cute, and real. Give it a shot, the actual episode itself has a five star rating at 900 votes. I understand being upset and wanting CR to see your circumstances but those negative reviews are placed over people's work. This is someone's creation and those reviews are negatively impacting it without having seen the show at all. It just seems destructive to the show when it doesn't need to be. It's dark here, anyone got a flashlight? Now I usually don't write reviews, but after all the one-star reviews complaining about region restrictions, I felt it was my duty to set this straight. If I had a scale range from cute to terrifying, this show would cover the whole thing. I felt like I was on a rollercoaster for my emotions. At the beginning all I could think was "why are their faces so close to the middle," and then at the middle I thought, "something's wrong, they seem too happy and wow this animation is nice," and finally at the end I didn't think, I just sat there trying to process what I just witnessed. Also I don't get the hate I've seen surrounding the opening, I like it. This show has the makings to be the best of the season so I hope it lives up to its potential, fingers crossed. Sorry for my crummy review, I'm new to writing my opinion. They've done it. So far so good! This is a series that I have been reading since it first showed up as on Shonen Jump. It immediately stood out to me as a misfit for the magazine. It feels much more like a Seinen(targeted at young adults) and thats a good thing! I worried that the adaptation wouldn't be able to capture the tense and gritty atmosphere but they nailed it!. The art style and the delivery are actually a step above the manga so far and the Opening/Ending and the soundtrack are absolutely phenomenal. The portion that this anime will likely cover is my favorite in the manga to date so I'm looking forward to seeing even more. Holy Crap, Now That's What I Call Dark! How do I even begin with this. It has a wholesome vibe at first, although you catch on quickly that the setting isn't what it seems to be, even before all the dark plot points begin happening, and this is all in one episode. It definitely made me widen my eyes when it started getting serious. If you have more of a weak stomach then don't watch this, although if you can handle dark and slight edge, this does it well, very well. I don't feel like I'm watching an edgelord anime just cause it's dark. I recommend this to anyone and let's hope it can continue to deliver a dark enjoyable story. No children were harmed in the making of this anime. 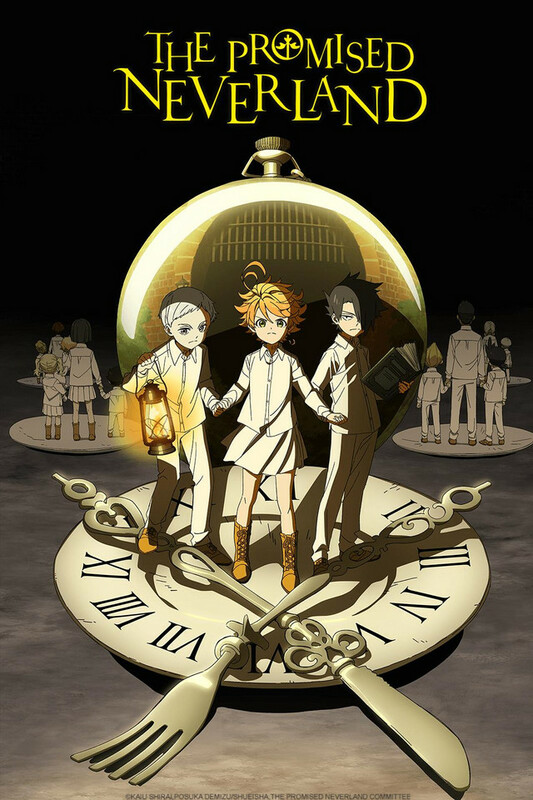 I began watching this with great expectations that were quickly surpassed by an incredible adaptation that combines great voice acting, suspense, top-notch animation and certain psychological thriller elements to tell its amazing story. This is surely one of the best in the season and for clarification, no real children were harmed or exploited in this anime. If you've made it to the end of this review and I've somehow failed to persuade you to watch this now, then I apologize. Watch it anyways. This is not to be missed. Please Ignore The One Star Reviews. I don't know anything about the manga at all but I can say without a doubt that this anime somehow got me hooked on episode 1. You should really give this a try, the one-star reviews are only dumbass people complaining about it not being available in their region. This anime reminds me of the intellectual struggle between Light and L from Deathnote – a covert and ever present battle of logic, strategy, creativity, threat calculations and intelligence analysis between the threat(s) and our little baby geniuses. Furthermore this show has an amazing concept/story, is beautifully animated and carefully directed with some great characters. I find myself thinking about the plight of the baby geniuses in this show during the week while waiting for the next episode – exploring ideas for myself of how I would survive and what clues or logical conclusions could be made next. Flawless episode, the animation is spot on, OST is nothing short of great & adaptation from the manga is 100% where it needs to be. It doesn't fail to build momentum to "that" moment which sets the whole story in motion. One thing about this show that is so amazing already is that it's hooking people already on episode 1, something few shows manage to do nowadays. the horrible truth about their world, at the same time as the characters. That they are cattle waiting to be slaughtered, and death is coming for them. This will be a dark tale of survival. The drawing is a little unique, but is well done. The animation quality is good as well. It's very well written and worth watching. This show makes me smile as much as Sister Krone when she sees the kids. It also makes me destroy my toys like Sister Krone whenever an episode leaves me on cliffhangers. Amazing character development and world building. The show also has really nice animation. You can see that each character has their own kryptonite, which in my opinion every good character needs to be compelling. You see how each of these characters interact. Good show in my opinion.